We drove down Main Street and Richard caught sight of the Moose Creek Café. Its small parking lot was filled to the brim with motorcycles and pickup trucks, a sure sign of good food. We drove around the block and parked in front. 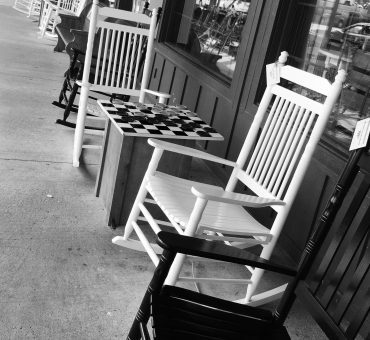 The restaurant is a “seat-yourself-and-the waitress-will-find-you” kind of eatery. Sure enough, as soon as we sat down we were greeted by a friendly waitress, handed some menus, and told that someone would be right with us. Monica came over and introduced herself. She was friendly and made us feel immediately welcome. So, after she took our orders for diet soda, I asked her if she knew any local ghost stories. She explained that because Walden was so old, there were plenty of stories. 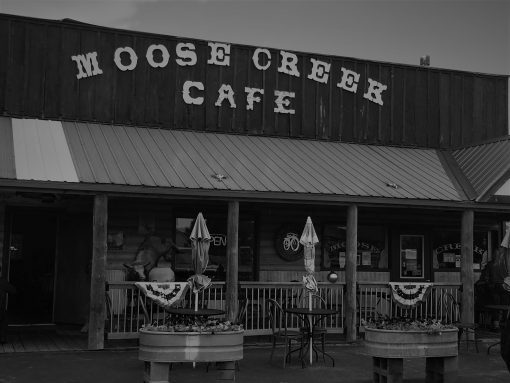 And she confided in me that the Moose Creek Café itself was haunted. I asked her if she had experienced anything herself. 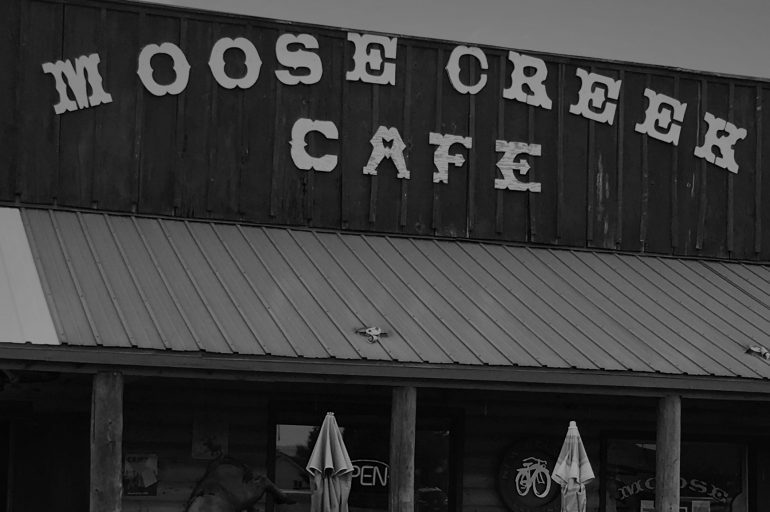 She paused for a moment, and then admitted that she had, indeed, experienced the ghost of the Moose Creek Café. Evidently the oil pits are not the only thing left over from the old gas station. She also found that when she’d come in early in the morning and get the coffee started for the day, the automatic paper towel dispensers in the closed bathrooms that were sensor activated would start dispensing paper towels on their own. 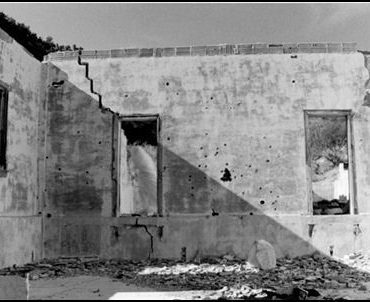 Neither phenomena happened during the day when patrons were at the restaurant, which probably was one of the reasons Monica wasn’t too eager to share her concerns about a ghost with anyone else. But one night, she just had to share. If you’re ever in Colorado, the trip to Walden is worth the time. Not only is the scenery epic, but the people, living and dead, are a lot of fun. And the food at Moose Creek Café is amazing! Hmmmm seems that someone still has a car to work on Huh? It seems like there is a lot of business going on and they aren’t quiet about it. I bet if you researched further that customers know that spirits are there. It would have been nice had one joined you and Richard for dining pleasure. Of course, Richard wouldn’t have liked it! !